It was the end of a day tasting and talking Paso Robles Cabernet Sauvignon and we were excited for the evening event. 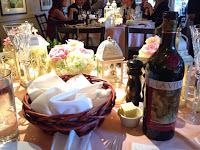 The evening was to be a visit to the beautiful Villa San-Juliette. This was to be a feed and more wine as well as mingling with some of the winemakers, owners and Sommeliers. To add a little more class to this great event the Paso Robles CAB Collective folks arranged for a bus to transport those who wished, to and from the Paso Robles Inn. It just happened (good planning) that we were staying at the Inn. Brilliant! 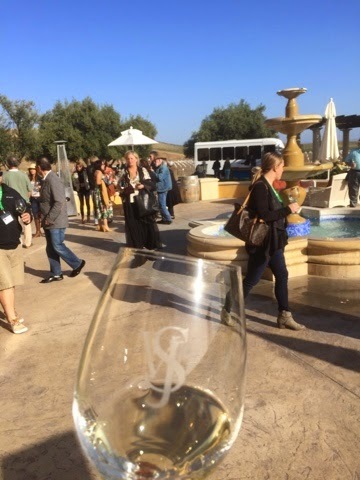 When we arrived and as we stepped off the bus we were immediately handed a glass of a fresh crisp Sauvignon Blanc. Nice touch! Villa San Juliette is a beautiful facility and sits in a beautiful location surrounded by vineyards. We took our glass of Sauvignon Blanc and found a comfortable spot to sit and enjoy the wine and the setting we were in. Once done with the savy it was back to the reds. After a couple glasses of top notch Cabernet it was time to belly up to the buffet. A hearty feast that really hit the spot. After the feed we immediately got stuck into some conversations with those cheeky Sommeliers that did not share the morning wines. It was quite interesting to get there candid opinion of the morning event from their perspective as well as a lot of other wine related conversation. 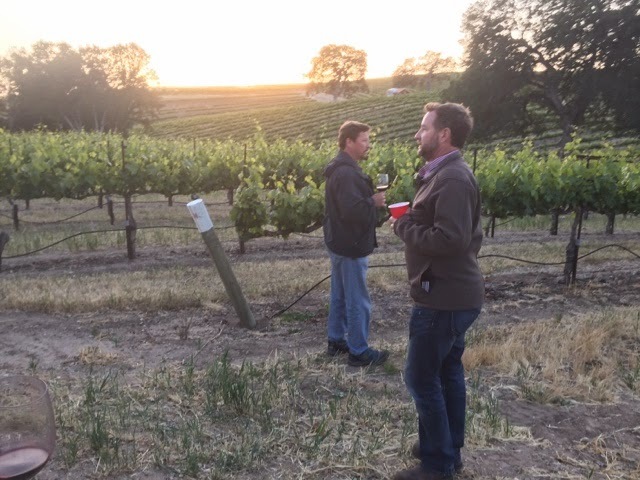 About this time Matt Ortman, Vice President, Winemaker, Office of the President and Tour Leader extraordinaire lead us on a tour of the vineyards and winemaking facilities. It was to an inquisitive and engaged group. Some were more engaged in getting another great glass of wine but Matt did a good job of keeping everyone on track and no one was left behind. 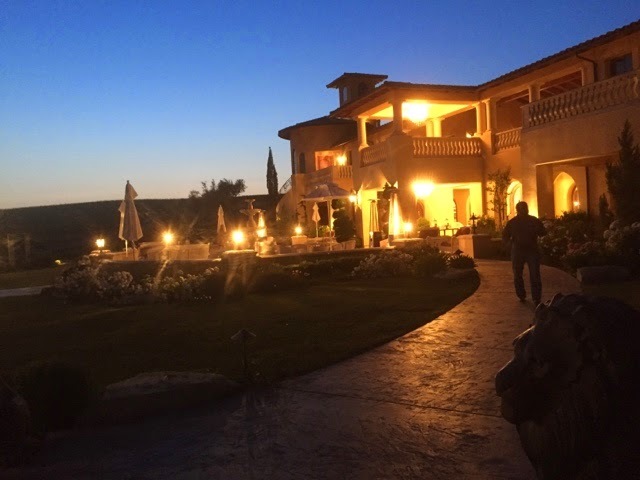 We enjoyed a good meal with great folks and some crackin wine in a spectacular setting, even if it was a little bit unusually chilly for Paso. Thanks to Nigel Lythgoe and Ken Warwick for opening their facility up to us and to Matt Ortman for being such a good host and tour guide. 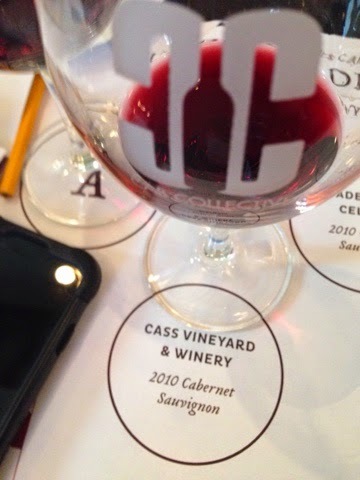 The Paso Robles Cab Collective for the generous invite and another crackin day of Paso Cabernet. 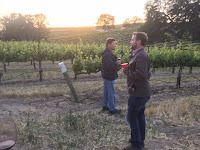 As we were shuttled back to the comfy Paso Robles Inn for some much need sleep we polled and asked those professionals around us, who drink a lot of world class wines for a living, what they though about the wines they had been drinking that day. 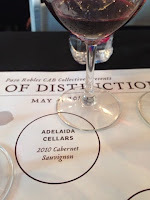 Without exception each had been impressed and had a lot of praise for what Paso Robles and Paso Robles Cabernet have to offer. A quick night cap at the bar in the Cattleman's Lounge and it was time to hit the sack so as to be ready for another big day in Paso Wine Country! Paso Robles is one crackin place for an extended wine weekend. Oh my where to start. There are so many great wineries and restaurants in Paso Robles it could take decades of wine Adventure weekends to visit most. 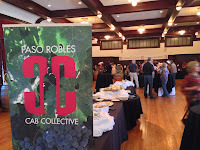 We have been lucky enough to be able to get a taste of many through events like the Paso Robles Wine Festival, The Paso Robles Rhone Rangers and The Paso Robles Cab Collective as well as years of wine tasting visits. 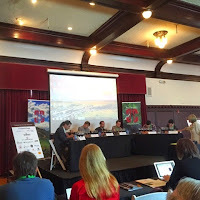 One of a number of good resources for things going on in Paso Robles is Travel Paso or Paso Wine. First off you need to pick a base of operations from which to set about wine tasting, and in the evenings dining. 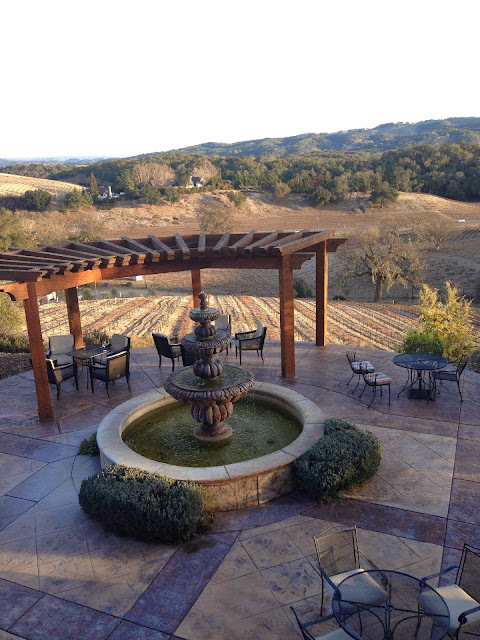 One of our favorites to stay at is the Paso Robles Inn. A historic and beautiful place with a mix of old and new and a great place for a hearty start your day breakfast. Also if you are too worn out to head out for dinner at night they have a great selection of dinner choices as well at their Cattleman's Lounge or the Steakhouse (they do an awesome lunch to). Look there are some fab hotels and B&Bs so choice of style, location and price is vast, just book early. 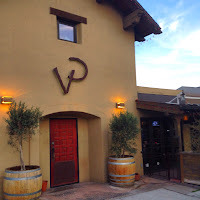 Paso Robles also has many great, yes great, places to eat. No, not eat, dine! 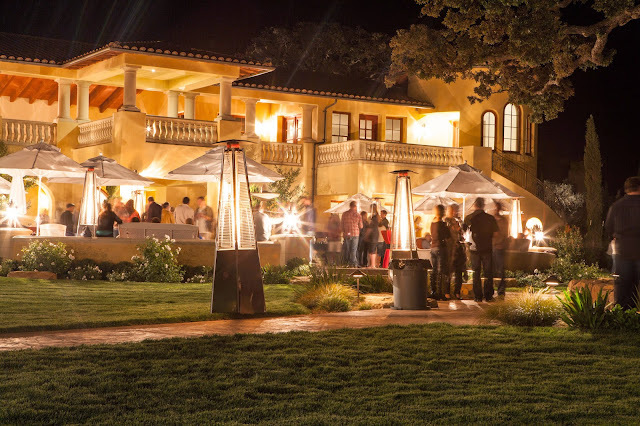 From one of Paso's original great restaurants serving fine French food at Bisro Laurent, to Buona Tavola for wonderful Northern Italian and Artisan and Villa Creek for eclectic and modern style dishes to seduce your taste buds. 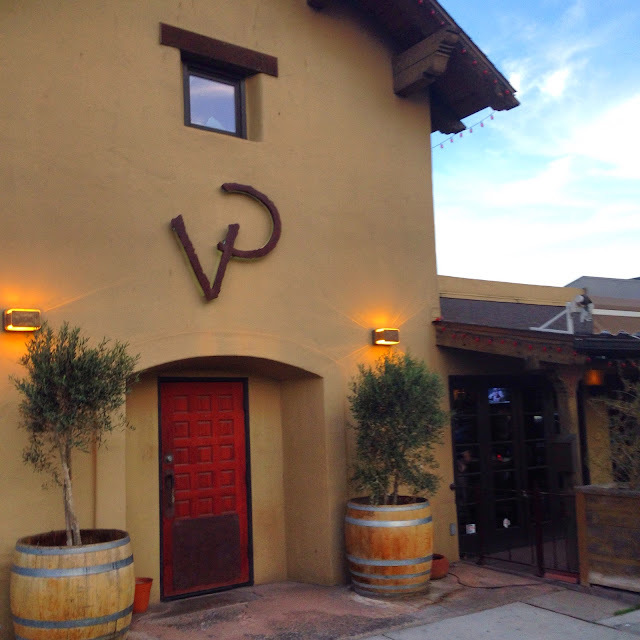 Paso has many fine dining experiences waiting for you. East side, North and South and 46 corridor. West side, Adelaida Road or Highway 46 West and the Backroads Wineries. 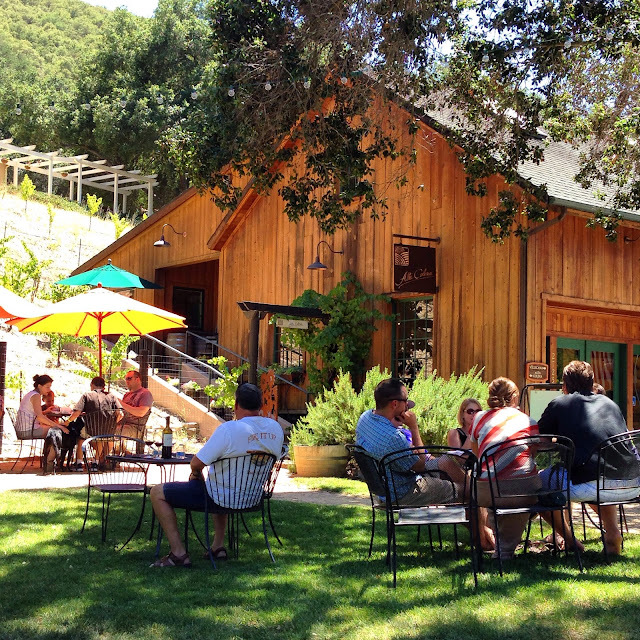 Even in Town there are enough tasting rooms to keep you busy all weekend. Where should you go for your first weekend? With somewhere over 200 choices deciding where to go will be overwhelming. We know that every time we head to Paso it is tough to decide the balance of favorites and new discoveries. The following are some of our favorites broken up by day trip grouping by the driving areas we fell make it more efficient. Just a starter to get you going. Some stops in town while walking around enjoying the park and boutique shops. 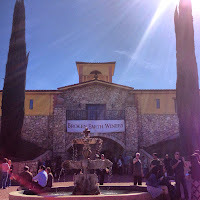 This is the tip of the iceberg as far as wineries to visit. 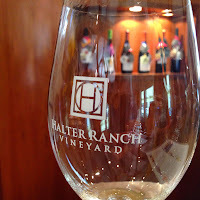 While we have been to and have had good experiences at all these wineries there are many great ones we have not listed. We are also going to keep exploring this wonderful wine region to enjoy and write about our experiences. 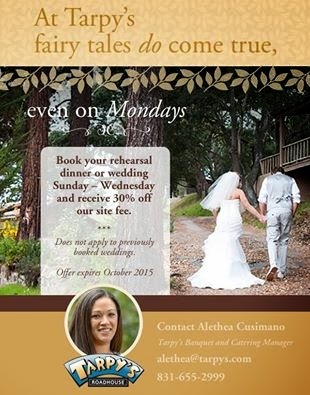 Get out your calendar and book a stay and get into one of the great wine regions. 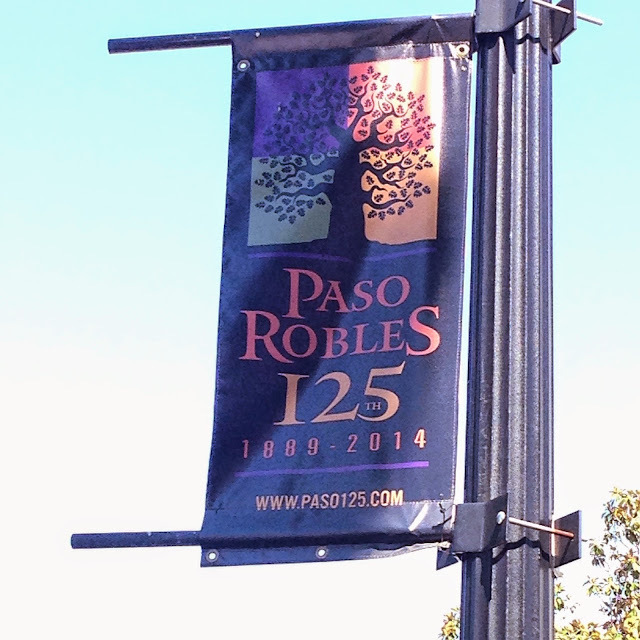 It's that time of year again when Cabernet becomes the focus in Paso Robles. 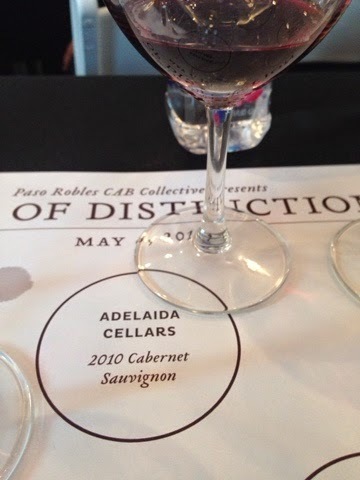 The Paso Robles Cab Collective put on the CABs of Distinction Grand Tasting May 2nd with a plethora of award winning Bordeaux wine for your tasting pleasure. How do we know? We have been every year! Then there is the industry event in the middle of the next week. There are a lot of great wine events that we look forward to and new ones popping up all the time but few offer the top heavy premium wine that this event does. As strange as it sounds, Cabernet in Paso Robles, was the entry wine for me in the late eighties while living in Paso Robles. 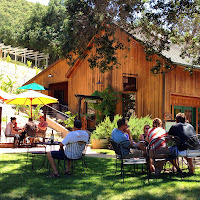 There were just a few wineries back then but the ones I remember enjoying many times were Eberle, Adelaida, and Justin. This year the media industry event was set up a little different and we also decided to change it up and have an overnight stay so we could really enjoy ourselves with out the hassle of driving. 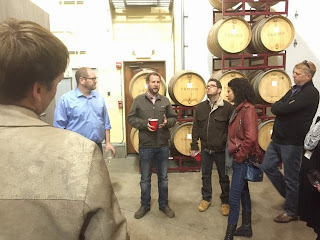 First up for us was a tasting session with The Quaff Report, by the SOMM Journal. This was a panel made up of Moderator Mike Madrigale, head sommelier at New Yorks Boulud, Jared Hooper wine director, Darius Allyn Maste Sommelier, Traci Dutton Sommelier, Paul Coker Sommelier, Terence Leavey Sommelier, and Naureen Ziam Wine director. This group of wine professionals were tasting six Cabernet or Cabernet blend wines. Two from France, two from Napa Valley and two from Paso Robles. Is it wrong to get a little joy from the sommeliers guessing wrong sometimes? Probably felt that way because we were watching them taste and had nothing to taste ourselves. Like a starving man watching someone eat in from of them. While interesting to listen to them engage in comparisons, we did feel a little disconnected. It would have been, at least for us, way better had we had the same wines to compare their commentary with our own sensory impressions. During the Q&A we were dying to ask 'you going to finish that?' But being the consummate professionals that we are there was no such disruption. The takeaway from this aside from learning we care a lot less when not engaged ourselves is that Somms can be wrong and Paso Cabs are as good as anything anywhere. During the lunch break we wandered down to Thomas Hill Organics for some of the best burgers anywhere. Paired up with a bottle of Parish Family Vineyards Cabernet of course. Highly recommend that combination there. The afternoon session was a lesson in phenolics that was both very interesting and a little overwhelming. Paso Phenolics Phenomenon. 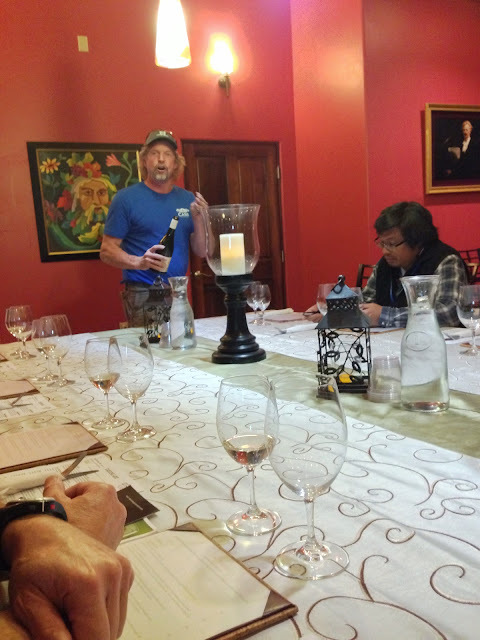 The discussion revolved around understanding the ability to pinpoint moments in the maceration process that has an influence on making wine starting from set through bottling to help make better choices for making better wines. Most red wine analysis stop with the measurements of pH, Brix and TA measurements. But virtually all of the key compounds that make red wines red, or why some red wines are more astringent than others, are due mainly to the concentrations of phenolic compounds. As opposed to measuring specific compounds in red wines, Drs. Adams and Harbertson desire to measure the total amount of phenolic materials that precipitate with (salivary) proteins knowing that these proteins react with many different molecular weight Tannins and Polymeric Pigment. Together they created an assay that brought together the sensory perception of a wine’s astringency and color with its quantities of phenolic materials present in the wine. In short, how wine is perceived on the palate and how it tastes. Heady stuff! 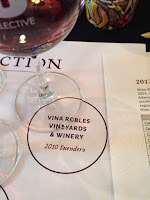 As the phenolic discussion was happening we were tasting four great exaples of Paso Robles Cabernet. 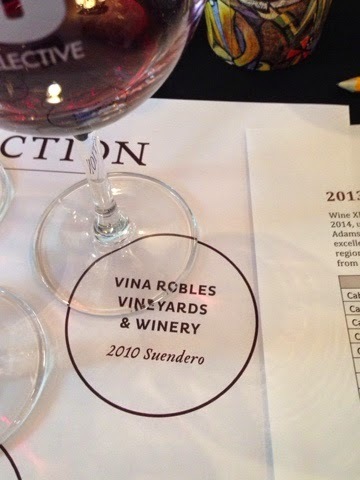 One from Cass Vineyard and Winery their 2010 Cabernet Sauvignon, Adelaida Cellars 2010 Cabernet Sauvignon, J. Lohr Vineyards and wines 2010 Hilltop Cabernet Sauvignon and Vina Robles Vineyards and Winery 2010 Suendero and a fifth wine that was an example of a wine with too much astringency, Wine A. 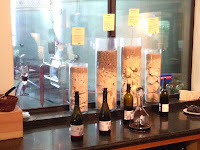 The take away here was that phenolics are a great tool to help with the process of making wine. It is something you are going to hear a lot more about. Wine A was as advertised a very unbalanced wine and the four from Paso Robles were, well lets just say all our glasses were empty. We came across this little beaut of a wine at our favorite Southern hemisphere wine connection, Southern Latitues in Carmel Valley California. The wine was selected because we had not had this before and we are always looking for a new taste. 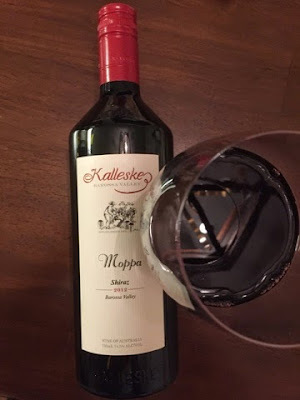 The wine, a 2012 Kalleske Moppa Shiraz from the Barossa Valley. The Moppa is predominantly Shiraz with a trace of Petit Verdot (10%) and Viognier (5%) blended in. The grapes are from ten different blocks on the Kalleske’s organic farm, with the oldest of these blocks planted in 1961. In 1853 the Kalleske farm and vineyard was established at Moppa near Grennock in the Barossa Valley's north west. 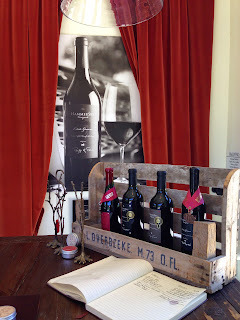 This wine was grown, vintage and matured on the Kalleske Estate. WINEMAKING The Shiraz was harvested in numerous batches from February 24th to March 30th. The Viognier was harvested on March 12th and co-fermented with a portion of Shiraz. The Petit Verdot is a late ripener and was harvested on April 11th. All batches were wild fermented in open top fermenters with hand pumpovers twice a day during fermentation. After 7 to 14 days on skins the fermented grapes were traditionally pressed. The wine was aged in hogshead barrels for eighteen months. Approximately 25% new French, American, Hungarian and Russian oak was used with the balance seasoned barrels. On completion of maturation, a small portion of Petit Verdot and Shiraz/Viognier was blended for added complexity. What a treat this wine was to drink. The Moppa Shiraz is deep purple in color with a bright and garnet light reflection. It is quite fragrant with potpourri and cinnamon spice as well as dark fruit. 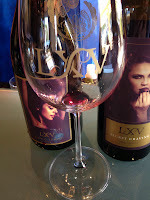 The palate is full bodied, juicy and has a generous mouthful of red and black fruits. It is complex with subtle oak influence and smooth tannins adding a lovely structure. 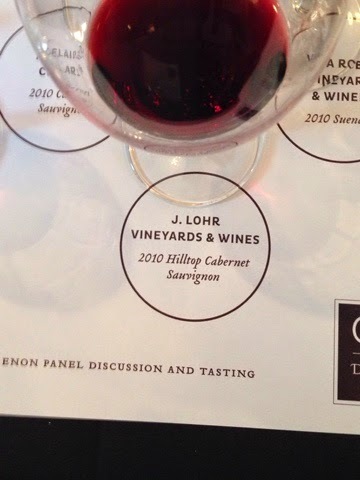 It is very well balanced and is a very easy drinking but full flavored Shiraz. Generous and opulent the wine finishes with great fruit expression and lengthy integrated tannins. Moppa 2012 is an expressive wine that can be enjoyed now or will probably cellar well for a few years. This was such a great find and at **** and a solid 7+ one to keep an eye out for. Will be looking to stop by the next time we are in town to check out this seven generation family property. Here is a story of one wedding that went very well and was by all accounts quite cost efficient by wedding standards without sacrificing anything but volumes of people. 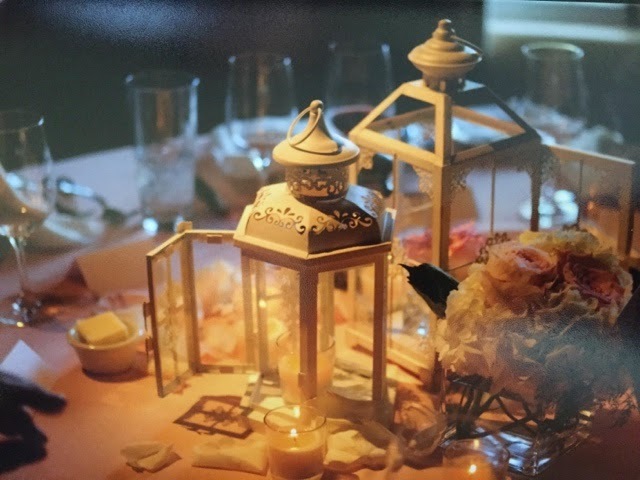 It is hard to understand the complexities of planning a wedding and the amount of work that goes into it unless you have been intimately involved in doing it. This is one well executed, being well planned, with great help and awesome vendor partners. Decide on your venues early. Six months out is probably too late. At twelve months out try to at least have it narrowed down to your top two or three and decide as quick as you can. After looking at dozens of options one place kept coming up in conversation. 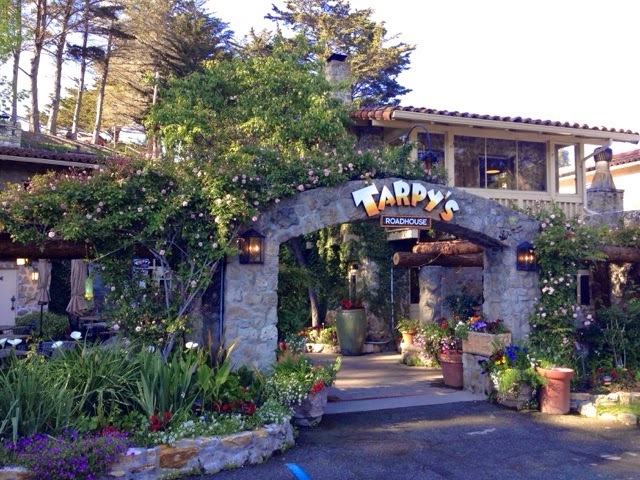 For this destination wedding reception in Monterey California it was the Library Room at Tarpy's Roadhouse with a meal created by Chef Todd Fisher and crew. Trying to get a quality meal with choices (including the gluten free and allergic crowd) is no small task. After meeting with and talking options with a number of vendors there seemed to be few who could offer the number of choices and the quality of food that were found at Tarpy's Roadhouse. Combine the great food options, lovely room and décor combine that with a very very competitive price and there seemed only one thing to do. 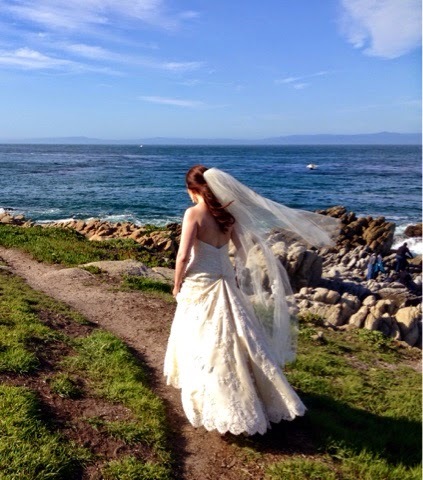 Keep the Bride happy and seal the deal. Next up was to narrow down the choices for the big evenings meal. After reviewing the menu options and selecting a variety to taste it was time to book a tasting date and finalize the menu. After what was a fabulous tasting session the final menu selections were made. 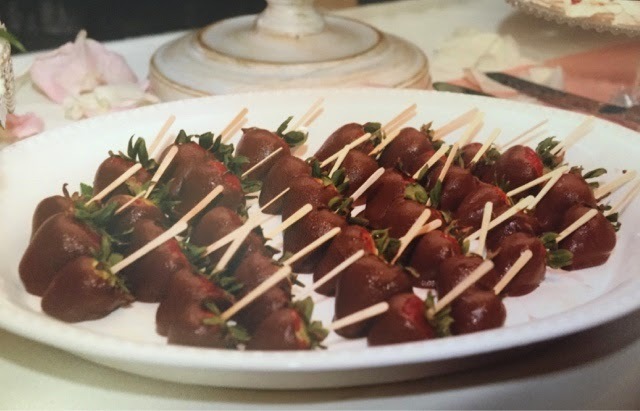 There were three passed hors d'oeuvres, a flat iron brochette with chimichurri, grilled prawns wrapped with applewood smoked bacon in a tequila-honey glaze and Castroville artichokes. The salad course was an Iceberg Wedge with smoked bacon, toy box tomatoes, creamy gorgonzola. For the main course the three selections chosen were Herb Crusted Sterling Salmon with rice pilaf, roasted cauliflower & Brussels sprout leaves, lemon beurre blanc and tomato relish. Roasted Chicken Breasts with spring vegetables, crispy fingerlings and harissa and salsa verde. Maple Brined Pork Chop with smoked apple mash, sweet corn grits and roasted cauliflower. All the guests were gushing with complements for the service and staff and to quote a few "the most amazing food". There were also a number of custom orders and all were served perfectly including the grooms request for mashed potatoes in lieu of the grits. The wines were selected from the wine list of local wines and all were enjoyed. 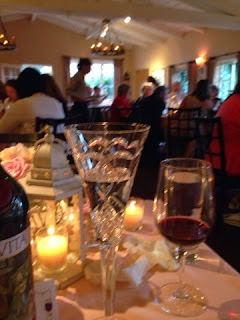 There were a couple special bottles just to add some extra choice and the bubbly used for the toast was enjoyed by all. 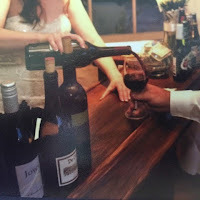 There was a Joyce Vineyards Steel Chardonnay, a De Terra Pinot Noir and a McIntyre Merlot and the groom brought along a bottle of Bargetto La Vita as a symbolic drop and a few bottles of Ventana Vineyards Le Mistral. Lovely wines all and by the amount consumed very much enjoyed. Great price, great choices, beautiful setting, wonderful staff, awesome food, lovely wines and a night to remember thanks to the great crew at Tarpy's Roadhouse.